A way to have a great start to your working week, is by preparing for it on Sunday night. For me, this often means a night of pampering. In today's video, I share with you my self-care routine that helps me center myself, helps me relax and helps me disconnect from worry. Take a look. Another way to make sure you're ready for the working week is to read or listen to a book that will get your mind thinking in a positive way. 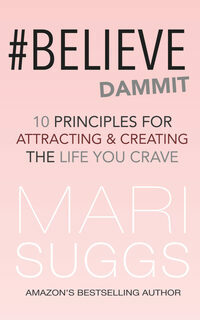 If you're in the market for such a book, I want to invite you to check out my book, #Believe Dammit: 10 Principles for Attracting and Creating the Life You Crave. It's a perfect place to start considering your thoughts and the way you live your life.